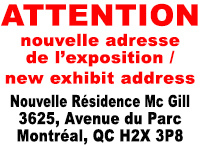 Nuphilex is the most prestigious Show featuring both stamp and coin collecting in one venue. This was the priority set by Mr. Serge Laramée from its beginning in 1981 allowing stamp and coin collectors to get together and share their passion. The show has been a great success for over a quarter of a century and I shall continue in the founder's footsteps toward the same goal. Nuphilex has 830 mail listings, 1300 email listings, advertises in more than 14 newspapers and magazines. The show is open 3 full days to the public Friday-Saturday from 10am to 5pm and Sunday 10am to 3pm. Each event pulls in more than 1000 visitors. Free admittance to 14 years and under.